The Shank Bone is a meaty USA all-natural beef bone from the front and back leg. It is very tough and durable. It is good for most of the aggressive chewers and will provide hours of chewing pleasure! 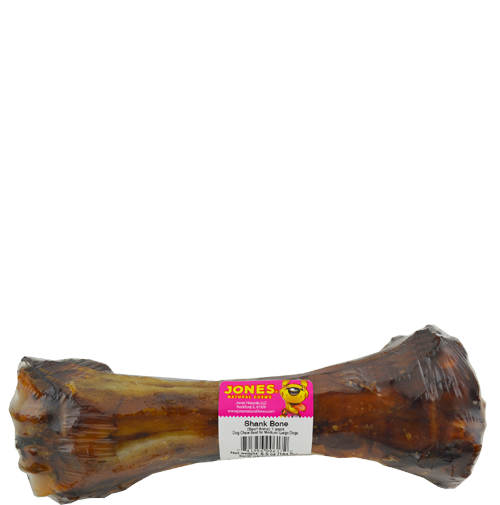 With no artificial ingredients added, this bone is best for medium to large sized dogs. All Jones’ products are 100% grown and made in the USA.